Pennsylvania is also known as the Keystone State and is the sixth most populous state. The diverse climate of Pennsylvania contains two major climate zones, humid continental, and humid subtropical. This has given rise to a booming HVAC industry and there is plenty of demand for qualified HVAC professionals to install, repair, and maintain these HVAC systems. In case you want to join their ranks, an HVAC education can help you with this. While the state of Pennsylvania currently has no certification or licensure requirements for most contractors, some areas may require an HVAC contractor license to repair, install, or alter mechanical systems within the city. So check your city’s regulations and laws, and keep in mind that you may need additional certifications and licenses depending on your projects, such as Manufactured Housing Installers Certification, Home Improvement Contractors Registrations, Crane Operators Licensure, Asbestos and Lead Removal Certification, and Municipal Certification and Licensure. While HVAC contractors won’t need state licensure for their projects in Pennsylvania, HVAC engineers will need at least four years of schooling to work as an engineer in any state. You can get details of some of the top schools for engineers in Pennsylvania later in the article. Some states also mandate a Professional Engineer certification, so make sure you check this requirement. While HVAC technicians in Pennsylvania make an average of $22.12, the starting wage goes from $14.02 up to $31.56. In comparison, the national pay for these HVAC techs is $22.07/hour or $45,910 annually. On average, HVAC technicians in Pennsylvania make roughly $46,000/year, with salaries ranging from $29,170 up to $65,640. Hence, Pennsylvania offers more or less the same pay as the national median salary. Salaries may vary, depending on the size and population of the city, as well as the general competitiveness of the market. You can expect to earn more with experience and certifications. This school offers programs designed to provide you with the hands-on training you'll need to work in HVAC/R, such as air conditioning control systems, heat pumps, heat systems, and refrigeration. It prepares you for the EPA’s Refrigerant Transition and Recovery Certification test, which is useful when seeking a job. Financial aid is available to those who qualify. The school also offers job placement assistance for both recent graduates and alumni. This rigorous program offers extensive hands-on training for HVAC in residential and commercial applications. The curriculum includes basic refrigeration, electricity and troubleshooting, thermodynamics and design, control system analysis, etc. Students will also have the opportunity to earn their EPA Section 608 Refrigerant Handling Certification. The Air Conditioning, Refrigeration & Heating program at Pennco Tech is an exceptionally comprehensive course. They provide in-classroom training, as well as effective hands-on training. Basic safety and other regulations of ACRH repair and maintenance are taught, as well as gas properties, and heat transfer to promote safe working conditions throughout the careers of their students. Other topics covered include system evacuation, circuits and soldering, and pipefitting for the students in this ACRH program. Graduates of this program are well-rounded and ready to pursue a career as an HVAC technician. The one year long HVAC certificate program combines hands-on lab training with classroom teaching within topics like basic and commercial refrigeration, system charging and calibrating instruments, refrigerant, oil management recovery, recycling, reclaiming and retrofitting, system evacuation. Students also cover basic electricity for HVAC technicians, including major tools, components, diagrams, electrical circuits, and graphs used on the job. They learn how to work on heating and central air-conditioning systems in residential and commercial settings. Successful graduates can complete the EPA Section 608 Certification for Stationary Air Conditioning and Refrigeration. The course requires 960 hours of studying and 68 quarter credits. The cost is $20,250 for tuition and fees. YTI is all about providing real-world training as opposed to theory, helping you prepare for the industry. They offer lessons using real equipment in a well-stocked training lab. Covered curriculum topics include circuit repair, service/repair on residential and light commercial gas heating systems, residential and light commercial condensing unit, mechanical and electrical troubleshooting, compressor and evaporator fan motor replacement, and more. Program length is 12 months and minimum required credits are 62. The Bachelor of Science degree in heating, ventilation & air conditioning design technology meets a large industry need for trained technicians with basic business management and supervision skills. Besides getting training in installation and repair of residential and commercial heating, cooling, and refrigeration systems, students study HVAC system design, advanced controls, energy management, and project management. Other skills vital to HVAC business operations are also taught in the program. You should definitely consider this option if you want to get into the HVAC business as a contractor. This program emphasizes the skills needed for the installation, maintenance, and repair of heating, ventilation, and air conditioning equipment. The topics include working with compressors, relays and thermostats, recovering and recycling refrigerants, learning related plumbing and electrical skills, fabricating sheet metal, and installing, servicing, and maintaining residential or commercial heating, refrigeration, ventilation, and air conditioning systems. Certifications that graduates can pursue include American Refrigeration Institute ICE Exam, EPA Refrigerant Recovery 608, HVAC Excellence Certifications, OSHA, Automotive, Mainstream Engineering, 410A Safety Certification, and Preventive Maintenance. According to the U.S. Bureau of Labor Statistics (BLS), the median annual salary for mechanical engineers, including HVAC engineers, was $83,590 as of May 2015. While the projected growth in the 2014-2024 decade for HVAC mechanics and installers will be 14%, the outlook for mechanical engineers is only a 5% increase. The average salary for a Mechanical Engineer is $79,422 in Pittsburgh, PA according to Glassdoor. Mechanical engineers can go on to join the HVAC industry after completing their undergraduate degree. While most engineers who intend to work in the industry do not pursue studies beyond a Master’s of Science degree, the National Association of Colleges and Employers reported that mechanical engineers with a master's degree started at an average of $75,700, which is considerably more than the national average for mechanical engineers with a bachelor's degree starting salary of $61,300. The Mechanical Engineering and Applied Mechanics undergraduate program is accredited by the Engineering Accreditation Commission of ABET. The curriculum allows students to choose a specialty in one or multiple disciplines of mechanical engineering, for example, fluid mechanics or structure mechanics, mechanical design, energy engineering, or other cross-disciplinary areas. Students learn the fundamental principles of mathematics, science, and engineering and are equipped with modern problem-solving tools. They learn to apply their basic knowledge of mechanical engineering principles and techniques to analyze, synthesize, and design engineering systems. Students are involved in research, team projects, and get groomed for careers in industry or academia through various extra-curricular activities. The Master's in Mechanical Engineering and Applied Mechanics (MEAM) at UPenn is nationally recognized for its excellence. Students are prepared for careers in leadership through opportunities to work in emerging and interdisciplinary areas. The program can be tailored and customized in order for students to focus on topics such as Design and Manufacturing, Mechanical Systems (Robotics, and Micro Electro Mechanical Systems (MEMS)), Heat Transfer, and Fluid Mechanics etc. UPenn is a top-ranked university with excellent facilities and faculty, so if you have what it takes to get admitted, definitely give it a shot. The B.S. program in Mechanical Engineering is accredited by the Engineering Accreditation Commission of ABET. It prepares students for working and collaborating across technologies and disciplines to solve some of society’s toughest problems. The program provides electives in several general areas, including thermal-sciences, mechanical design and manufacturing, mechanical and environmental systems, nuclear engineering, and bioengineering. With over 300 full-time graduate students, this is an intense M.S. program that provides depth in fundamental mechanical engineering areas and breadth in emerging areas of mechanical engineering leadership. Plenty of research opportunities are provided to students in order to impart the ability to frame complex problems and collaborate across organizations. The low student/faculty ratio facilitates a close-knit environment for research and mentoring. The Mechanical and Nuclear Engineering Department at Penn State is one of the nation’s largest and most successful engineering departments. The curriculum features hands-on experiences, including experiential laboratory components to a series of design courses. The result is an emphasis on innovation which prepares students for a number of career paths, from industry to academia. The senior design project is industry-sponsored and gives students a chance to work in a team to solve a real-world issue. This graduate degree has limited formal course requirements, so students can tailor a program to their needs and educational goals. Penn State’s research programs are exceptional in the areas of design and manufacturing, energy conversion and storage, controls, biomedical devices, combustion, bioinspired engineering solutions, and future transportation systems. 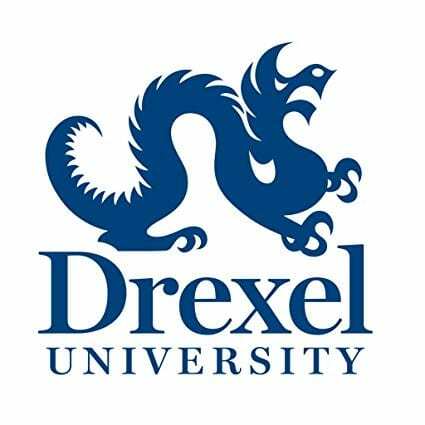 Drexel’s B.S. program’s curriculum offers a balance of technical breadth and depth through a comprehensive program of courses, laboratories, design projects, research projects, and co-op experiences. Students can specialize in one of these areas: Aerospace, Biomedical Engineering, Design and Manufacturing, Mechanics and Structures, Systems and Control, or Thermal and Fluid Sciences. Another option is a customized specialization. A minimum of 192.5 credits is needed for the BSME degree. Students can also minor in at least one subject area, such as mathematics, languages, business, or another engineering discipline. Students can participate in research projects as well as in the co-op program, which gives hands-on experience in the field before graduation. The minimum course requirement for the MS Degree is 45 credits, consisting of the required 9 credits of applied mathematics, required 12 credits of core area courses, and the remaining 24 credits of technical elective courses. A thesis is optional, so you can take more courses in the area of your interest if required. The BS in Mechanical Engineering at Lehigh is accredited by the Accreditation Board for Engineering and Technology (ABET). Its curriculum combines a broad base in mathematics, physical sciences, and the engineering sciences. Students are taught modern Integrated Product Development, combining state-of-the-art computer-aided design and manufacturing methods in a business-oriented framework. Plenty of depth in a selected field is given via four or more courses selected from a wide variety of 300-level offerings. Courses in mechanical engineering and engineering mechanics are both available. The total graduation requirement is 129 credits. Pennsylvania is not just a great place to live and work, it also offers many opportunities to study HVAC and enter this fast-growing profession. It has some of the best engineering schools in the nation that offer mechanical engineering programs coupled with great facilities, faculty, research opportunities, and employers. 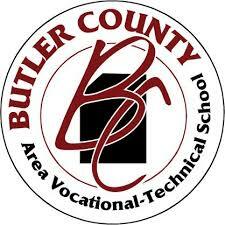 Similarly, you can also pursue diplomas and courses in HVAC technician training in Pennsylvania easily. Keep in mind that you should look for accredited schools which offer certifications in your program whenever possible and do your research about admission requirements. Also, try to visit the school to get a better idea of the facilities and faculty offerings.